Green Hills beckons home decor shoppers with a wide range of shops ranging from antiques and fine arts to gorgeous textiles and furnishings. At Color, you’ll find colorful accessories and everything for entertaining for the coming season. A repository of beautiful things from candles and table decor to seasonal items and gifts, the shop offers affordable, beautifully displayed items. Next door, Bennett Galleries houses a distinctive collection of contemporary fine art paintings as well as sculpture by established and emerging artists. 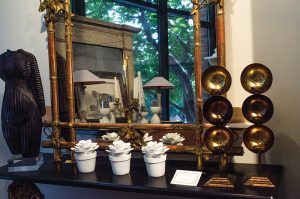 Representing artisans from across the United States the gallery also features amazing lamps, clocks, pottery, and jewelry. Picture frames of all types, as well as archival framing, are available. Paul LeQuire & Company gathers diverse offerings of visual delight carefully selected from local and regional artists. Pottery pieces range from vases and bowls to creative pieces, while wood pieces include carved, turned, and stained boxes. music stands, clocks, and more. 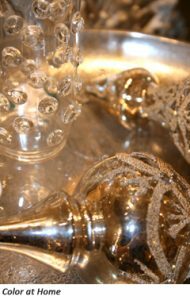 Decorative items include everything from blown glass to etched and fused glass and paintings include oils and watercolors, mixed media and acrylic. 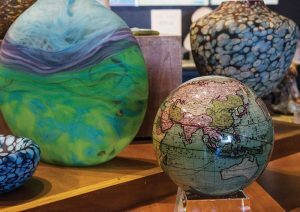 Across the parking lot, Ten Thousand Villages of Nashville is a fair trade retailer of artisan-crafted home decor, personal accessories, and gift items from across the globe. 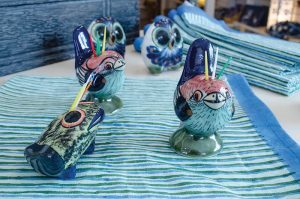 If you’re seeking handcrafted and unusual items for your home or just a special gift, don’t miss this shop. Featuring products from more than 130 artisan groups in some 38 countries, the store is part of a network of over 390 retail outlets throughout the United States. 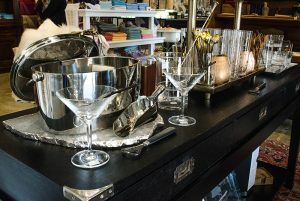 At Corzine & Co., you’ll find china, flatware, silver, stemware, antique silver and porcelain, jewelry, linens, and gifts. Browsing the seasonal table settings is a great way to seek inspiration, and for questions about etiquette, the staff is a wonderful source. If you’re looking for something unusual and elegant, try Corzine’s. Marymount Plantation features rare and exceptional objects in chic, custom vignettes. The selection ranges from the 17th through the 20th century and has included 18th-century dining chairs and garden decor from the storied Chateau de Groussay outside Paris, pieces from the estate of Doris Duke, and canvas panels from the Waldorf Astoria. Owner Kathy Fitzpatrick’s talent for finding the unusual is a local legend. Green Hill’s quintessential linens store, is Bella Linea which offers the ‘European Sleep Style’ concept of down comforters, pillows, and featherbeds. 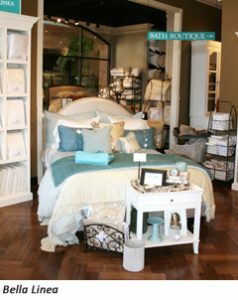 Over time it has evolved into a fine linen store specializing in quality linens from all over the world, including bath linens and accessories, locally made gifts and furniture accents. 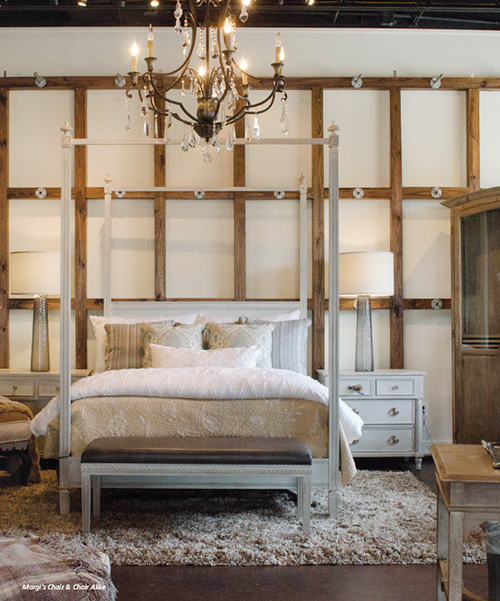 With a team of linen and design experts, Bella Linea specializes in creating beautiful beds—and rooms—for its clients. The Oriental Shop is owned and operated by one of North America’s oldest oriental rug families. Founded by Mr. A.S. Harb, the company is now operated by his grandson Robert F. Howell. 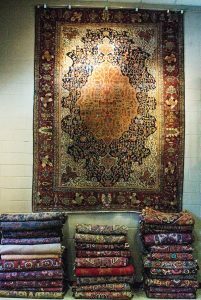 In the shop, you’ll find an extensive inventory of about 700rugs. Upstairs at Grace’s Plaza is Richland Fine Arts which features art—traditional and contemporary oil paintings—from a variety of artists including Everett Raymond Kinstler, Dawn E. Whitelaw, Gavin Brooks, Holly Metzger, and others. In addition to selling its own line of organic linens, Ashley Meier Fine Linens also sources numerous other products from around the globe. 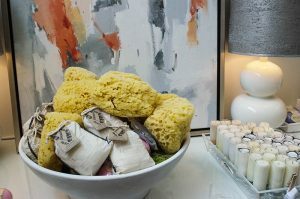 You’ll find luxury pillows, towels, embroidery, and artisan fabrics, as well as home decor gift items. 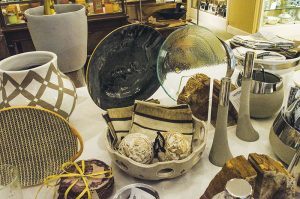 Ash Blue, founded by Susannah and Zulu Scott-Barnes is filled with gifts, furniture, African artifacts, tableware, scented items, and frames. Be sure to check out the store’s new Visual Comfort Lighting Gallery. You’ll also find fine handcrafted jewelry and garden accessories. The merchandise reflects Zulu’s travels in South Africa, Argentina, Brazil, Borneo, England, Ireland, and Hawaii, and Susannah’s eye for beauty and design. If you’re not familiar with Mackenzie-Childs, you’re sure to enjoy a walk through Duck Duck Goose, a gorgeous shop. 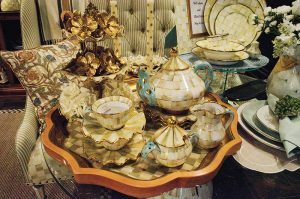 It’s a wonderful way to escape the ordinary and get lost in the wonderful world of thousands of hand-painted ceramics, furniture, and gifts, representing the entire Mackenzie-Childs line. You’ll also find dinnerware and serving items from Julia Knight, Skyros Designs, and G.G. Collection. MarketPlace Interiors recently opened a second location, bringing a unique collection of upholstery, lighting, accessories, and great art. The brainchild of Laurie Elliott and Heidi Jinks, the Tampa-area original shop has opened its Nashville-area shop to offer the same vibe with architectural items, home decor, pillows and rugs, and more. Offering found objects, antiques, updated upholstery, unique lighting, and accessories, the shop also features premium brand candles, bath and home care products, and seasonal decorations. The two resident interior designers specialize in full-scale residential interior design ranging from simple makeovers to complete renovations. Across the courtyard lies Margi’s Chair & Chair Alike, a retail boutique offering eclectic home furnishings and gifts for those who want to create a personal environment that inspires the “I’m home” feeling. 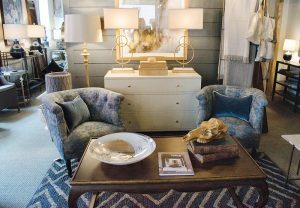 You’ll find large hand-carved cabinets, unique hand-forged iron lamps and fire screens, cozy sofas, hearty reclaimed wooden tables, and hundreds of fabrics and leathers for creating your own style. NOTE: Many small shops are closed on Monday. Please call ahead to verify hours, etc.